Tampa, Fla. – (November 17, 2015) – Author Chris Kuhn returns to her college town of Tallahassee, Fla. Saturday, Nov. 21 for a multi-author book signing event at My Favorite Books. The Florida State University Communications graduate (’92) recently released her second book OUR SEASONS, a thematic literary collection of short stories and poetry with each short story set in a different Florida community and her fall story Learning to Fly based in Tallahassee. In the book, Kuhn weaves one common thread throughout all of the short stories — a celebration of public art — and once she discovered local artist and fellow FSU student Noah Z. Brock, she soon found herself inspired by his painted steel sculpture Icarus Wings. In OUR SEASONS, Kuhn weaves one common thread throughout all of the book’s short stories — a celebration of public art. In her Tallahassee story, readers meet FSU Master’s student Pete Callahan, a young man determined to pursue his interest in global renewable energy solutions despite family pressure to go into the family antiques business. Kuhn says she needed a public art piece that would capture her young protagonist’s irresistible hope and determination. 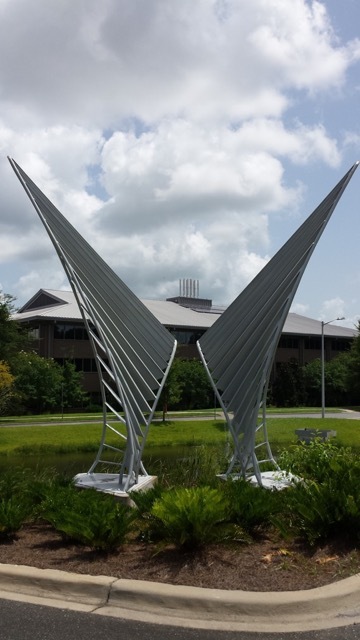 Once she discovered local artist and FSU Art MFA ’16 Noah Z. Brock, she soon found herself inspired by his painted steel sculpture Icarus Wings, completed in 2012 and installed in front of the Aero-Propulsion, Mechatronics and Energy Center at The Florida State University. Brock says he was surprised to hear the news of inclusion of his art within Kuhn’s books when the author reached out to him earlier this fall. Kuhn adds that she is excited to get to meet up with Brock in person during her Tallahassee visit as she will be stopping by his studio to see his latest work Saturday morning before the event. Afterward, Kuhn will join authors V.L. Brunskill and Deborah A. Allen from 1 p.m. to 3 p.m. to meet readers and sign copies of her latest book at the Tallahassee bookstore, located at 1415 Timberlane Road. My Favorite Books manager Lori Roche says that the store has been steady in its long-time commitment to support local and Florida-based authors, hosting over 70 author signing events annually and frequently shining the spotlight on independent and self-published authors. Kuhn, a self-published author, says though she sells her titles primarily online in paperback and Kindle formats, she has made it a core goal to partner with locally-owned independent bookstores and provide an alternative for readers who prefer to buy local in their communities. “Self-published authors must demonstrate they are committed to actively promoting their relationship with local bookstores, however they can. With great partnerships, everybody wins — the stores, the authors and the readers,” she says. “My Favorite Books has been a dream to work with and always so supportive.” The bookstore also carries Kuhn’s debut novel THE MUSE UNLOCKED, a contemporary romance. Over the next few months, Kuhn will be posting bonus book material online for readers at her website such as interviews with some of the artists featured within the book, including Brock. “I look forward to sharing with my readers the inspiration behind the art and the stories behind the stories,” she says. As a writer, editor and blogger, Chris has been sharing her words through articles, essays, blogs, poetry and other content online and in print for nearly 10 years. She has appeared in the Tampa Tribune, 83 Degrees Media and Destination Tampa Bay, as well as national magazines such as Skirt! and American City. She is the community writer and editor for the calendar and neighborhood sections of Tampa Bay Parenting Magazine. She has also taken part in Southwest Florida area events as a guest speaker, including Women in Networking’s annual WIN Symposium and as an author panelist discussing female lead characters in contemporary literature hosted by the Sarasota Public Library. In summer of 2013, she added published author to her list of achievements with the debut of her first novel THE MUSE UNLOCKED, a contemporary romance. 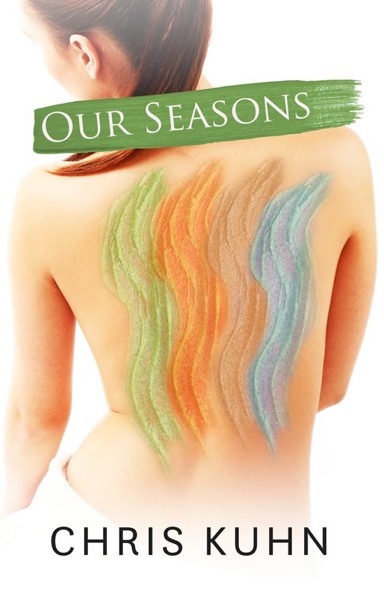 In November 2015, she released her second book OUR SEASONS, a thematic collection of short stories and poetry. Chris lives in the suburbs of Tampa Bay, where she is currently working on her third book, THE MUSE UNGUARDED, the sequel to her first book. For more information about the author and her titles, go to chriskuhnauthor.com.